When the Chicago Bears cut Andy Phillips last week, it appeared that they were ready to hand the starting kicking job over to Connor Barth, but that competition isn’t over just yet. 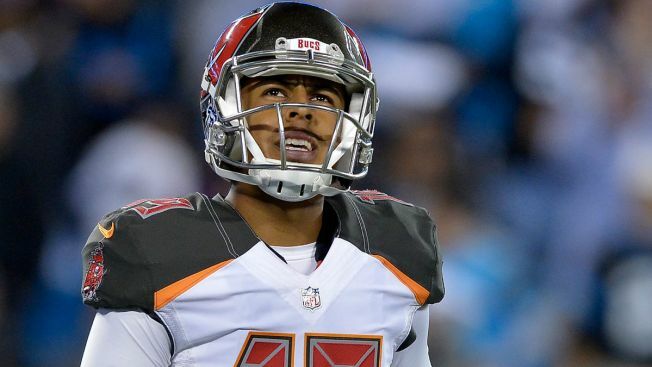 On Sunday, the Bears announced that they had claimed former Tampa Bay Buccaneers kicker Roberto Aguayo off of waivers. Aguayo, a second-round pick of the Buccaneers in 2016, was cut by the team last week after he missed two kicks in a preseason game. The Buccaneers, who had traded multiple picks to move into the second round to take Aguyao, weren’t satisfied with his performance last season, as he missed nine field goals in his lone season in Tampa. To make room for Aguayo on the roster, the Bears placed wide receiver Reuben Randle on injured reserve. As for Barth, he played in all 16 games for the Bears in 2016, making 18-of-23 field goals and 31-of-32 extra point attempts in his first season in Chicago. The long-time pro will now have to compete to retain his job as the Bears prepare for their second preseason game, which will take place on Saturday night when they play the Arizona Cardinals in Glendale.